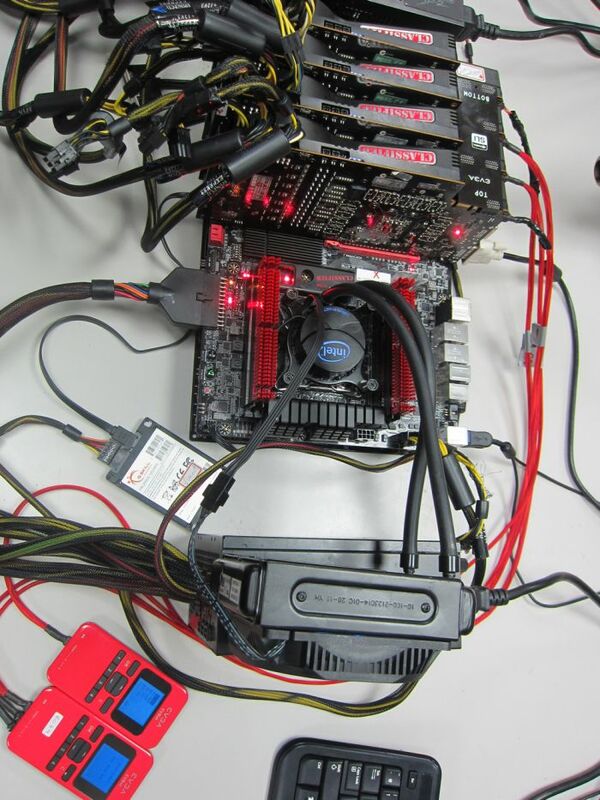 k|ngp|n shows us his new toys in an classified overclocking session: an EVGA’s X79 Classified mobo, four EVGA’s GTX 580 Classified Ultra (a new model?) and no less than five 1200W Classified PSUs. The five 1200W PSUs are for a particular test, because only 2 of them are enough! All pictures, scores and clock speeds are available HERE. that setup is seriously.. insane! Wow, what a setup! I’d like to see some benches from that thing outside 3dmark given.